1. you are a private person living within the EU, and having your purchase delivered to an address within the EU. 2. you are a private person living outside the EU, but you are having your purchase delivered to an address within the EU. 3. you are a company with a valid VAT number based in Belgium. 1. you are a private person or company based outside the EU, and having your purchase delivered to an address outside the EU. 2. you are a company with a valid VAT number based within the EU (excl. Belgium). * Some countries impose import fees and/or taxes. These vary by country. These fees are not paid by, collected by, or accounted for by CanvasCamp. The shipping agent (generally speaking UPS) will collect any amount due prior to, or at the time of delivery. Familiarize yourself with the import and taxes that your country imposes by contacting your Customs Authority. 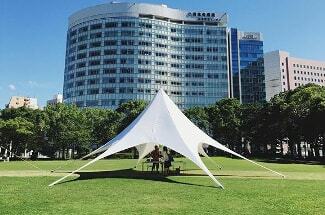 The Harmonized tariff Schedule (HS) code for our canvas tents is 6306.2900. 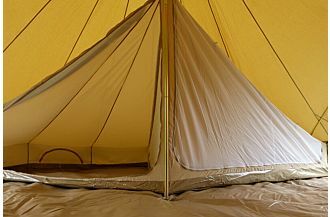 You won’t find a cotton canvas bell tent that measures up to the Sibley 600 ProTech Double Door. The largest of all the Sibley Series at 6 meters (19ft 8in) in diameter and a massive 28,25m² (306 ft²) of floor space. That’s the same area as an average hotel room! 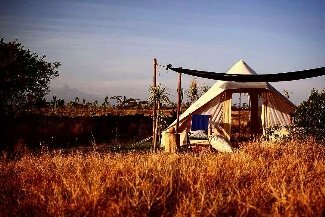 Size alone makes this tent ideal for commercial glamping operations, yoga classes, group meetings, or turning your backyard into an AirBnb! 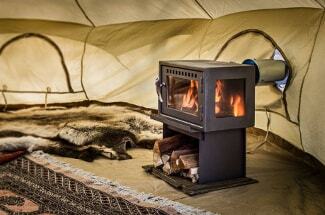 All of our ProTech’s are fully loaded with features for ease of use and adaptability in a range of climates. Exceptionally breathable, our Pro canvas (360 gr/m² or 10.62 oz/yd²) is impregnated with water, mold, and UV resistance. The water and vapor impenetrable groundsheet is now ultra heavy duty with rip-stop technology (650 gr/m² or 19.17 oz/yd²). 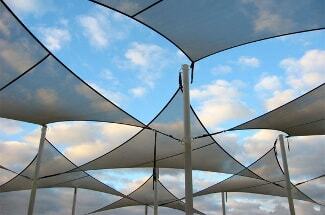 360° mesh walls for ventilation and bug Protection can be neatly stored or removed completely when not in use. 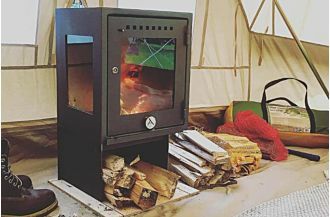 The dual A-frame doors Provide easy access, as well as ability to connect an additional Sibley tent for a multi-room bell tent set up. 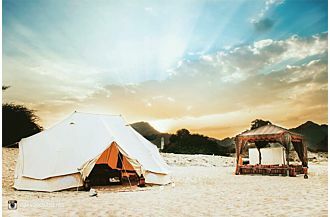 CanvasCamp is the only bell tent manufacturer to proudly bear the Seal of Cotton™. With two twin A-frame doors on opposite sides of the tent, the 600 Double Door is our largest and most accessible Sibley yet! The double doors are ideal for unobstructed views in two directions. The second door allows larger groups or families to enter or exit the tent from either side without disturbing the other half. The Sibley’s signature A-frame door allows for easy entry and exit, and holds the canvas at 90 degrees from the ground preventing rain from falling into the tent when moving in and out. The floor is equipped with four stirrups which hold the poles of the doors securely in place. The top of the A-frame doors are equipped with a pin that sits in a grommet at the peak of the door ensuring proper placement. 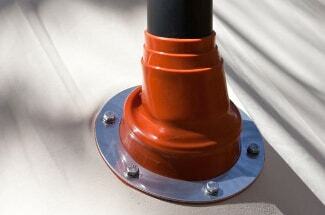 A rain cap is then placed over the pin and grommet to keep rain from running down the poles. The canvas door zips together vertically and along the bathtub floor. Each side of the door is equipped with loops and ropes to neatly tie back the canvas and/or mesh doors to hold them open when not in use. Every Sibley is compatible with a Sibley Connector, a bow-tie shaped attachment that can be used as an awning. 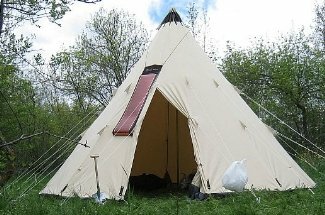 A Sibley Connector can also be used as a covered bridge between one of the Double Doors and a second bell tent, allowing you to create a multiple room tent. Traditional camp pests like bugs and critters are posing a greater threat campers with the increasing prevalence of vector borne illness like Zika, West Nile, and plague. Our ProTech series includes a mesh wall that zips on to the groundsheet and canopy, allowing you to roll up the canvas walls for maximum ventilation while keeping your tent sealed against pests. The mesh walls connect to the mesh door with extra sticky Velcro for a secure seal, offering a full 360° of mesh. When not in use the mesh wall can be rolled up and stowed neatly with the built in hook and loop system on the inside of the canopy, or they can zipped out removed completely. 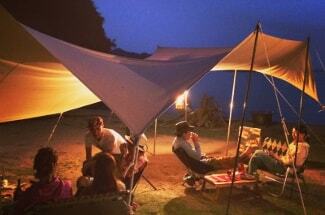 Mesh walls are also known as a double wall in the bell tent industry. Our ProTech groundsheets attach to the tent with a zipper and are made of are thick, thermally welded, rip-stop PVC (650 gr/m² or 19.17 oz/yd²). Completely water and vapor impenetrable, the ‘bathtub style’ floor rises 4 inches high to keep you dry even in standing water. 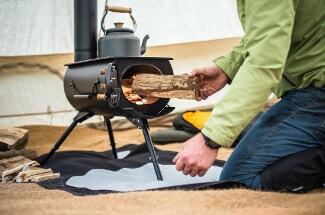 Using a heavy duty size 10 zipper to attach the sidewall to the groundsheet, you can unzip the floor to roll up the canvas walls for maximum ventilation, or remove the groundsheet entirely for transport, storage, cleaning, or to enjoy the grass or sand beneath your feet. A tail gate style system of secure hooks and loops allows you to drop the bathtub wall near the door and peg it flat to prevent tripping and facilitate easy cleaning. The Sibley 600 ProTech Double Door includes two sewn in no-see-um mesh doors in addition to the traditional canvas doors. 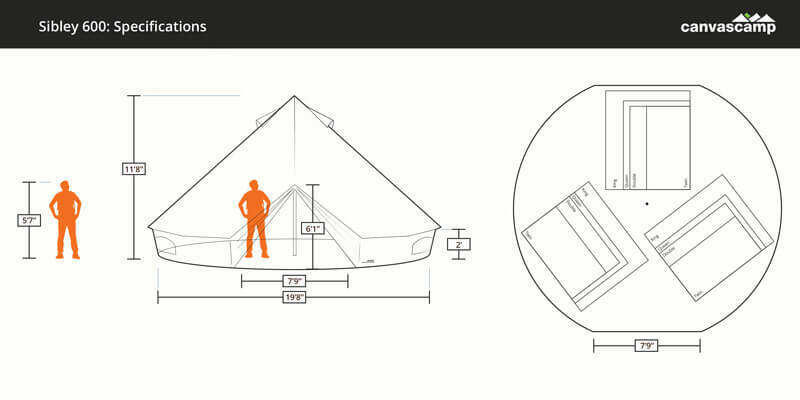 The tent is equipped with loops on either side of the doors to neatly tie back the mesh doors when not in use. First time set up is a breeze with the Pro’s guy lines which are pre-attached to the tent and threaded through our tensioners. The Pro grade guy lines have been upgraded with corded nylon rope to make adjusting the tension on the line easier. Pro guy lines have are 5mm thick and have an additional UV resistant treatment. 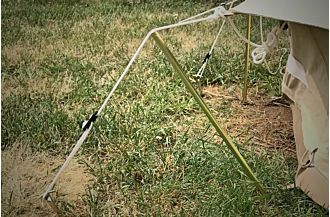 Plastic tensioners prevent edges from cutting into the guy lines and prolong the life of your tent. The poles on the Pro series have been beefed up from the standard poles included with the Standard, Deluxe, and Ultimate Series. Pro door poles are 23mm (.91 inch) and the center pole is 32mm (1.25 inches) in diameter. Internal spring loaded wires guide the pole sections together for quick and easy assembly. 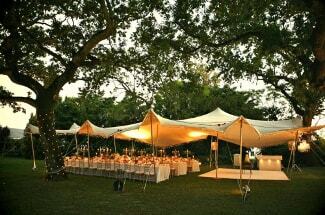 The center pole has a welded lanyard ring which can be used to hang an inner tent or chandelier. 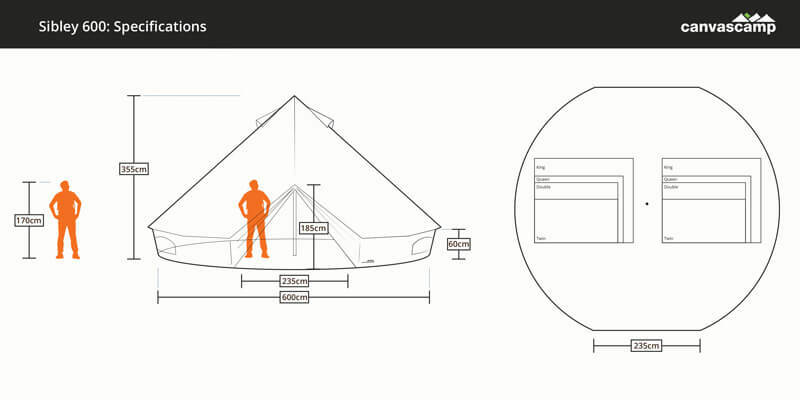 Pro Canvas (360 gr/m² or 10.62 oz/yd²) is the best canvas for premium bell tents; but it’s not all about the weight. Our proprietary Pro treatment adds additional waterproofing to the natural water resistance of canvas, along with mold and UV resistance. Pro canvas is designed for long term use and wide range climates. A balance of breathability, waterproofing, and durability; Pro canvas is ideal for camping comfortably in all 4 seasons. Repairable and retreatable, a properly maintained Pro can last for years. 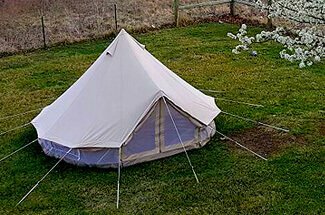 Double stitched, flat-felled roof and side wall seams, seam gussets, and double-layer construction at all stress points create a bell tent that is as durable as it is beautiful. Every Sibley comes complete with windows and vents covered in no-seeum mesh to keep the bugs out while providing ventilation and airflow. Our half moon windows have zip up covers to allow you to customize your desired level of ventilation and privacy. Each window is equipped with loop fasteners to neatly hold the covers when the windows are unzipped. There are 4 windows and 4 vents on the Sibley 600.